Eating to live better is a simple concept with many dimensions. My travels and constant education in integrative and functional medicine inform the process. Eating to live better is a simple concept with many dimensions. My travels and constant education in integrative and functional medicine inform the process. Nutrition and Mental Health: The Missing Link to Rediscovering Joy and Vitality? My heart goes out to anyone struggling with mental health challenges. Adding scientifically based nutrition interventions to your treatment program may be the missing link in getting back your joy, vitality, vigor and harmony. Nutrient imbalances can affect your ability to feel joy. You may feel like you are trapped inside a worrying mind that you can’t seem to catch a break from. You may feel shy and find it hard to be around people. Impulse control may be an issue. These can all be signs of a nutritional imbalance. If so, part of your issues may be nutritionally related. You may be given a label to describe your cluster of symptoms such as anxiety, depression, insomnia, or ADD. However, functional medicine nutritionists may instead use terms such as iron deficiency, zinc and magnesium deficiency, MTHFR or COMT genetic variants, low protein status. Regardless of the diagnostic label you are given, we look for the nutritional biochemical needs that are not being met and could contribute to your symptoms. Nutrient imbalances can have an enormous impact on mental health. Medications and therapy, albeit extremely important, can’t correct nutrient imbalances. I see nutrient imbalances in people struggling with mental health issues on an almost daily basis. Many of these imbalances are caused by genetic factors, intestinal issues, and our current diet. Hopefully this article will entice you enough to consider adding nutrition to your overall healthcare plan to more effectively manage your mental health concerns. The brain is an organ just like the heart, and it responds to nutrients. Sub-clinical nutrient deficiencies typically show up with mood and behavior changes. Our nutrition status is determined by our absorption, genetics, food choices and agricultural practices. We need to address gut health in order to produce a healthy level of neurotransmitters. Hormones play a huge role in mental health and we can positively influence our hormonal balance by diet and lifestyle factors. Choosing organic whole, unprocessed foods, and eating a balance of the right foods can positively affect brain chemistry. Besides nutrition, exercise, lifestyle and meditation are huge factors in balancing the brain/body chemistry and hormones. For challenging mental health issues, dietary supplements can be very helpful in balancing brain chemistry and improving the health of the nervous system. Diet is often not enough. Working with a team including a nutritionist, doctor and psychotherapist can be a winning combination for tackling mental health issues. Homeopathy is very effective with mental health challenges and can safely be used with medications and nutrition supplements. The brain is one of the first organs affected by nutrient deficiencies, and you can bet that other organs will also be affected by these deficiencies over time if they remain unaddressed. No matter what mental health diagnostic “label” you are given, it is highly UNLIKELY that there is NOT a nutritional component to your symptoms. You may still need psychiatric intervention with medications, as well as psychotherapy, but you should also get the underlying nutritional imbalances corrected. Based on my 30 years of clinical experience, I think that it is a mistake NOT to work with a nutritionist if you are suffering from mental health challenges. I don’t know the exact reason people are not referred to a nutritionist when suffering with mental health challenges. It may be due to busy providers, as well as lack of nutritional knowledge among these providers. A provider cannot recommend something that they are not educated in, or knowledgeable about. There is also a strong belief among clients, and parents of clients, that do-it-yourself nutritional care is sufficient. I am here to tell you that it is not, and it can sometimes can make things worse. Given my clinical experience, I believe that a winning combination for helping mental health challenges is the use of advanced level nutritionists, psychotherapists and psychiatrists together. Most people these days are familiar with the term neurotransmitters (the body’s chemical messengers that transmit messages between neurons) and they are aware that neurotransmitter imbalances can affect mood. Neurotransmitters are produced by nutrients, yes you heard me, by NUTRIENTS. If you consume the right nutrients you will be able produce enough of the right neurotransmitters to make you feel good. Nutrients can also quiet down the production of neurotransmitters that are causing anxiety and insomnia. Neurotransmitters affected by nutrition include serotonin, dopamine, norepinephrine, epinephrine, acetylcholine, gaba and glutamate. When your body has an imbalance of neurotransmitters we can use targeted nutrients to bring back balance and harmony to the system. Nutrient requirements will be unique for every single person, based on their symptoms, lab work, and genetics. Some of the nutrients we look at in lab work include specific amino acids (from protein) such as methionine, tryptophan, tyrosine, glycine, taurine, theanine; vitamins B1, B2, B3, B6, folate, B12, inositol, vitamin C; the minerals magnesium, calcium, zinc, iron, copper, selenium, lithium; other nutrients such as choline, TMG, SAMe; electrolytes such as potassium and sodium. All of these nutrients play a crucial role in making neurotransmitters. A person may have one or a several of these nutrients in short supply, thus affecting the ability to produce a balanced level of neurotransmitters. Serotonin helps with happiness, a feeling of calm, sleep and impulse control. Dopamine helps with motivation, pleasure, concentration and focus. A deficiency of dopamine is often a huge factor in addiction, loss of concentration and motivation, and when it feels like nothing in life brings pleasure anymore. Norepinephrine helps with sustained focus and is often low in people experiencing ADD/ADHD. Epinephrine (adrenaline) is our vital fight or flight neurotransmitter, but when levels are excessive it can cause panic and anxiety. Acetylcholine is required for learning, memory, deep REM sleep and autonomic functions such as bladder and bowel emptying. Gaba brings us peacefulness and allows us to calm down and sleep. We can feel chronic anxiety when gaba levels are too low. Certain amino acids help to produce our own natural gaba. Glutamate is required for concentration and focus, but when levels are too high it can cause anxiety and damage to the brain, such as after head trauma. Through specific nutrients we can help to metabolize out excessive glutamate and protect the brain from high glutamate levels. Glutamate converts to GABA, but some people have a genetically slow functioning enzyme that is responsible for this conversion and they end up with excessive glutamate. Vitamin B6 is one of the nutrients that helps that enzyme convert glutamate to GABA so we can feel calm. Nutrients are the building blocks for making neurotransmitters. We can test levels of neurotransmitter metabolites in urine as well as genetic variants to precisely target neurotransmitter balance through nutrients. There are a variety of nutritional products and specific foods that can bring balance to the body chemistry thus relieving the distressing symptoms of neurotransmitter imbalances. Exercise and meditation are also extremely important in balancing out your production of neurotransmitters. Meeting individual nutrition needs is not exclusively about the diet you eat, it is a bit more complicated than that. You may be eating a healthy diet but suffer terribly from mental health concerns. Research supports that individual nutrient requirements can have a genetic basis; in other words, we (including our family members) may genetically require high amounts of specific nutrients that are not available in our current diet. These genetic variations are not dysfunctional, in fact, they probably played an important role to our survival at one point, and were a non-issue because our ancestors were eating regional foods that were robust in these certain nutrients. What is important now is that your ancestors have migrated geographically away from their original diet and the specific foods that kept them healthy. These genetic variations are passed down through generations of people who may not be eating enough of the specific foods that help them express their genetic variations in a healthy manner, so they can feel robust and vital. You may notice that you have extended family members who exhibit similar patterns of mental and physical health complaints. We may find that these family members share gene variants that may require higher levels of nutrients such as choline, folate, riboflavin, magnesium, vitamin B6 and B12, etc. If your diet heavily consists of white flour products (bread, pizza, pastries, cookies, pasta, rice) and sugar with very little produce and nutritional variety, you will be deficient in most of the nutrients that are required for good mental health. For example, an abundance of organic leafy greens in the diet can provide enough folate to make up for an MTHFR genetic variant, but people with this gene variant who don’t eat an abundance of leafy greens, would logically experience mental health and physical health challenges. Since these nutrient requirements run in families, we may see a mother who is genetically low in zinc, B vitamins, magnesium and iron, and she is experiencing depression, anxiety and sensitivity to external stimuli such as bright light, loud noises, crowds; and it is likely that her children are also low in these same nutrients, and are experiencing similar symptoms that show up as challenging behaviors. These unique nutritional genetic requirements become even more of a problem when our current agricultural and food processing practices strip vital nutrients out of our food. Added to that, we choose a diet that is full of processed foods instead of whole foods that retain vital nutrients to help us balance our brain chemistry. Depending on the genetic variants we inherit, we may actually require supplements to get enough of these crucial nutrients to enjoy robust mental health. Most of our neurotransmitters are produced in the gut rather than the brain. Most of our immune system also is in our gut. Immune system issues, inflammation, hormonal imbalances, and mental health challenges can all occur together and can be related. In addition, there is bi-directional communication between the gut and the brain carried out by our friendly probiotic bacteria. The gut and brain influence each other. Malabsorption of nutrients interferes with our ability to produce enough neurotransmitters to feel good. Malabsorption can occur due to a variety of factors such as celiac’s disease, an inflamed intestinal tract or overgrowth of bacteria, fungus or parasites. This is area where a nutritionist can play a crucial role in finding out causes of low nutrient absorption and helping to correct those imbalances so you can start producing healthy levels of neurotransmitters. We can also find clues in your lab work to suggest if you need to see a gastroenterologist for further testing. Current mainstream agricultural practices strip the soil of nutrients and beneficial microorganisms, as well as discourage the diversity of plants in our food supply. Diversity of plants make our immune system stronger and help us have a healthy expression of our DNA. As a result, we now have an abundance of food that is lower in the specific nutrients and plant diversity that is required to keep us robust and healthy. We also are bombarded with foods that are loaded with chemicals such as flavorings, colorings, preservatives and hormones that affect behavior. Chemicals used in big agriculture are neurotoxic and can damage our brains and nervous systems, they deplete the soil of nutrients and beneficial micro-organisms, disrupt our healthy bacteria, cause excessive estrogen levels in males and females, and are linked with diabetes and liver damage. Our grandparents and great grand-parents grew up with a healthy, non-toxic food supply and it is my belief that we deserve the same right. An abundance of toxic, processed foods has set our society up for serious mental and physical health challenges. When our food no longer contains nutrients required for making neurotransmitters, we will quickly experience mood, thought and behavioral dysregulation. To protect your mental and physical health, buy your food from small local organic farmers that are going back to basics by enriching the soil with nutrients and beneficial bacteria, and saying NO to using harmful chemicals that weaken the plants and poison our bodies. These farmers are focusing on growing food that can once again nourish our bodies as nature intended. I personally feel safer using small farmers from a standpoint of food-borne illness. It seems that big agriculture operations lose control over quality and have far more recalls on their products. Hormone imbalances are another HUGE factor that affect our brain chemistry. When I talk about hormones I am talking about thyroid, adrenal (DHEA and cortisol), insulin, melatonin, vitamin D, estrogen, progesterone and testosterone. These imbalances are often unrecognized by mainstream medicine. Most people don’t realize that hormones can be affected by our food choices, environmental contaminants such as plastic food packaging, lifestyle choice such as lack of exercise, in addition to ages and stages of life. Hormone imbalances affect mood and brain chemistry. I often see women struggling with depression, anxiety and addiction as they are headed into menopause. Or they may experience post-partum depression and anxiety, as well as premenstrual syndrome PMS) or premenstrual dysphoric disorder (PMDD). These are due to hormonal changes and imbalances, and they may have genetic nutritional needs that are not being met, which would result in not being able to produce enough serotonin or dopamine. Middle aged men with depression, irritability and hopelessness may be experiencing declining DHEA and testosterone levels combined with high or low cortisol levels from stress, high insulin levels, and can feel like the wind has been knocked out of their sails. I also see many young men with depression and anxiety that also have low testosterone levels. Testosterone levels can be affected by poor diet, environmental contaminants, lack of exercise, lack of sunshine, possibly marijuana and alcohol use, and eating foods packaged in plastic and BPA. Vitamin D and cholesterol are important for producing hormones, so if these are low they need to be addressed as well. Kids going through puberty often struggle with depression and anxiety as well. Psycho-social stress is also at an all-time high for this age group. Imbalances in hormones can cause anxiety, fatigue, depression, low energy, insomnia, and achiness. Circadian rhythm disruptions can cause a whole host of issues for mental and physical health. Oral contraceptives can cause a variety of nutrient deficiencies that affect mental health. The good news is that positive changes with diet, exercise and other lifestyle factors can have a terrific effect on balancing hormone levels. To help people with mood concerns, I start with blood work through their doctor combined with a mood questionnaire that can help pinpoint neurotransmitter issues. Based on these results, I custom tailor specific nutrients and foods to start using right away. At the first visit I give people a few samples to try based on their most pressing symptoms and taking into account any medications they are taking. Through lab work, nutrient levels, hormonal levels, clues that point to a deficiency of specific nutrients, an unhealthy balance of bacteria in the gut, malabsorption, inflammation, genetic variations that may affect nutritional status. Functional medicine nutritionists look at lab work differently than physicians. We use reference ranges that are narrower in scope for the purpose of optimizing health, and we look for patterns in lab work that point to specific nutrient needs. Medical reference ranges are very large and are looking for a diagnosis of disease. Often, I find a nutrient that is just barely above the level of an overt deficiency, but it didn’t get flagged as low, so it was missed by the physician. If someone wants to get more specific, we also have the option to test neurotransmitter metabolites in urine to get a better reflection of what is low. We can do nutritional genomics testing (a cheek swab) to see exactly which variants the person has inherited that we need to more closely target with lifestyle changes, specific foods, and supplemental nutrients. Sometimes the nutrition genomic testing is the magic bullet in figuring out puzzling mental and physical health challenges. I find that when nutritional status is optimal people start sleeping and have far more motivation and energy to get out and do things; they feel like socializing, cooking, exercising; and they become very efficient in life as they can concentrate and focus far better at work and school. They also have a much easier time conquering their old self-medicating habits such as binge/compulsive overeating, excessive caffeine, alcohol, marijuana, etc. In fact, I often don’t even suggest they give these habits up as they seem to naturally do it themselves. Overall, mental health challenges seem very responsive to targeted, common sense nutritional interventions combined with psychotherapy. If someone is on medications through a psychiatrist, we can custom tailor the plan to be safe with these medications. Adding nutrients to a medication regime is often a very beneficial one-two punch that can help people can start to feel much better quickly. Nutritional products also act quickly, sometimes in 30 minutes to an hour, unlike medications that can take weeks or months to kick in. Subclinical nutrient deficiencies usually first show up with mood and behavior changes. Most of our neurotransmitters are produced in the gut so we need to address gut health in order to produce a healthy level of neurotransmitters. Exercise is a huge factor in balancing your brain/body chemistry and hormones. Learning techniques such as meditation to balance your stress level can change neurological pathways and chemicals in the body. The right dietary supplements can be very helpful in balancing brain chemistry. If your intestines are chronically miserable, it is time to stop suffering and get some help. Please note: This article discusses an uncomfortable topic, but if you suffer from this condition you need to know that help is available. This article is geared toward adults and does not address children with chronic constipation. If you have a child with this issue you need to see a pediatrician and pediatric nutritionist. This article is not a replacement for medical care. See your physician if you have frequent constipation. Chronic constipation can be so distressing, embarrassing, and debilitating for some people that they may begin to socially isolate themselves, and feel unable to live a full life. If you have this condition, then you know that traditional remedies such as using a fiber supplement, taking a laxative, drinking more water and exercising don’t necessarily work. The number of people going to the emergency room for constipation increased by 42% between 2006 and 2011. Infants and the elderly (over age 65) are more likely to end up in the emergency room. There can be a multitude of causes for this condition, and to successfully tackle this you may need to assemble a team of health care professionals. Please read on to understand some of the possible causes of chronic constipation and how you can get help. If you suffer from chronic constipation feel free to BOOK A 15 MINUTE CHAT RIGHT HERE to find out about nutrition services. According to the American Society of Colon and Rectal Surgeons, bowel movements should occur AT LEAST every third day, if not more. If a bowel movement requires great effort to expel, or does not satisfactorily empty, a person would be considered to have constipation even if they are having “normal frequency” of bowel movements. But if a bowel movement occurs every third day, is normal and formed, and does not require great effort to expel and the feeling of complete emptying occurs this is considered normal. Holistic practitioners advocate for a daily bowel movement for overall health and detoxification purposes, but if this can’t happen without overuse of laxatives then expectations need to be changed. I my practice, I see chronic constipation occurring with other issues such as anxiety, depression, difficulty concentrating, headaches, insomnia, bladder pain, dry eyes and sometimes even all over achiness. Food allergies, gas, bloating, reflux, and nausea may also be part of the picture. These other symptoms can provide clues as to what is causing the chronic constipation. A Diet Low in Fiber and Fluids. Most people with chronic constipation are told to eat more fiber and drink more fluids. This is a good commonsense strategy to try first as sometimes it works. The type of fiber you choose is important. Eating fiber keeps the muscles in gastrointestinal tract strong, just like lifting weights keeps our skeletal muscles strong. Fiber may help strengthen the wave of peristalsis that moves food through our gastrointestinal tract. Fiber also helps to prevent hemorrhoids. High fiber foods include unprocessed foods such as beans and lentils, fruit, vegetables, nuts, and wholegrains. In other words: unprocessed food from plants. Not all of these foods may be appropriate for people with chronic constipation. A Diet Too High in Fiber. Sometimes people are recommended to use a fiber supplement or to start eating lots of high fiber grains such as oatmeal and quinoa for chronic constipation. This can make matters worse. Too much fiber, or suddenly greatly increasing the amount of fiber you are consuming, can cause constipation. This sounds counter-intuitive to most people. However, a study was done in 2012 on individuals with chronic constipation. The researchers observed that typically people with chronic constipation are self-treating with too much fiber. This bulks the stool, making it harder to pass, slows down gut transit time and therefore, causes trapped gas and worsens the symptoms of gas, bloating, constipation. If the person has an overgrowth of bacteria or yeast in the small intestine, the fiber may serve as a food source for these organisms thus worsening their GI symptoms. In the study they put people with chronic constipation on a no fiber diet for two weeks, followed by a low fiber diet, or what felt an acceptable level of fiber. Those on the low fiber diet had complete resolution of symptoms, those who resumed a high fiber diet had a return of all symptoms. If you are given a fiber supplement by your doctor, start very slow, such as ¼ teaspoon in water, instead of a whole serving which could be 2 tablespoons. Don’t increase the amount by over ½ teaspoon per week. The Wrong Type of Fiber--- Fiber that is high in FODMAPs. 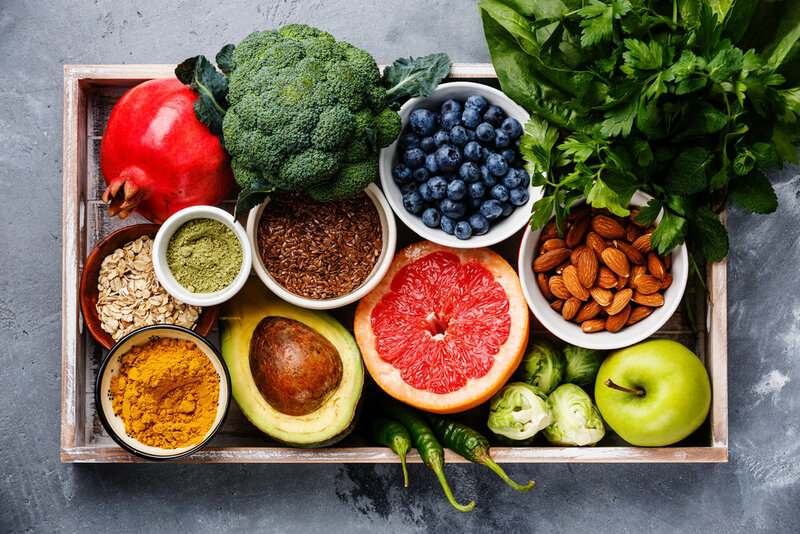 FODMAP foods are high in fermentable carbohydrates called Fructans, Oligosaccharides, Disaccharides, Monosaccharides, and Polyols or, “FODMAP” foods for short. The carbohydrate in these foods ferment in the GI tract and can make gas, bloating and constipation worse. Examples of these foods include apples, pears, cauliflower, pistachios, beans, lentils, whole wheat, wheat bran…. In other words, foods that we often think of consuming for constipation. There are tons of high fiber foods that are low in FODMAPS and may really be helpful for constipation without causing gas, bloating and intestinal pain. These foods are in a table at the end of this article. Irritable Bowel Syndrome (IBS). Irritable bowel syndrome is considered a functional motility disorder where the motility of the gastrointestinal (GI) tract can be uncoordinated. There is IBS-C (constipation) or IBS-D (diarrhea). IBS may involve low grade inflammation, poor muscle coordination of the GI tract, food sensitivities, and bi-directional communication between the gut and brain. IBS is associated with abdominal pain, irregular bowel movements and typically the pain is relieved by having a bowel movement. Many people with chronic constipation have IBS. Your physician can diagnosis IBS. Food Allergies/Intolerances/Sensitivities. Gluten intolerance (Celiac’s disease), corn, oats and diary or other individual food sensitivities may be correlated with constipation. Certain medications. Always speak with your doctor and pharmacist about any medications you are taking that may be causing constipation. Examples include opoids, anti-cholinergic medications, antispasmodic medications, some psychotropic medications such as tricyclic anti-depressants, calcium channel blockers, NSAIDs like ibuprofen and aleve, and antihistamines like Claritin or Zyrtec. Certain iron supplements may also cause constipation. Low Serotonin Production. Serotonin is a neurotransmitter that many people associate with a happy, calm mood. We make about 70% of our serotonin in our GI tract. Serotonin helps with peristalsis or the movement of food through the gastrointestinal tract (motility). Certain supplements can help to boost the production of serotonin which may be helpful for some people to improve peristalsis and thus constipation. Low acetylcholine production. Some people may genetically underproduce acetylcholine, or may be taking a medication that blocks acetylcholine production. Some symptoms of low acetylcholine production may include slow gut transit time, difficulty emptying the bladder, difficulty with memory and learning, lack of deep REM sleep, facial flushing, dry eyes, and mood instability. If you can check the box on these symptoms, lack of acetylcholine may be an issue for you. Certain supplements can help boost the production of acetylcholine. Lack of acetylcholine production may also have to do with vagus nerve dysfunction. Vagus Nerve Dysfunction. The connection with the vagus nerve and constipation is still being researched. The vagus nerve is a cranial nerve that starts in the brainstem and runs through the chest all the way to the colon. It serves as a communication highway between the gut and the brain. The vagus nerve is an important part of our autonomic nervous system, which is responsible for things our bodies do automatically such as breathe and digest food. The vagus nerve releases acetylcholine when it is stimulated. When the vagus nerve is not stimulated enough you may experience brain fog, slow gastric emptying and constipation, anxiety, panic attacks, tinnitus, depression. To stimulate the vagus nerve you can try deep belly breathing, splashing cold water on your face, massaging your feet or gargling forcefully several times per day. Acupuncture and cranial sacral therapy may also stimulate the vagus nerve. Meditation is another option to explore on a daily basis. Hyperparathyroidism. Hyperparathyroidism can be another cause of chronic constipation. This condition is diagnosed by a physician. The parathyroid gland is situated behind the thyroid gland in the neck. When your parathyroid is over active (hyperparathyroidism) it can cause constipation as well as bone loss and calcification of soft tissues. You can have primary hyperparathyroidism (often due to a benign tumor) or secondary hyperparathryoidism due to malabsorption of calcium and Vitamin D (common in malabsorption disease, gastric bypass surgery, and celiac’s disease). You can ask your doctor to run a blood test to measure parathyroid hormone (PTH) level. Hypothyroidism or a sluggish thyroid. Whether or not you receive a true diagnosis of hypothyroidism, you may have a sluggish thyroid contributing to chronic constipation. As nutritionists, we work to improve the function of the thyroid by making sure you have enough of the nutrients that support thyroid function. Removing foods that contribute to hypothyroidism and inflammation is part of the answer as well. When we help people with thyroid issues, we work on gut healing which also improves constipation. Asking your doctor to run a thorough thyroid panel can be helpful in determining if this is contributing to constipation. Your physician can diagnose hypothyroidism. Not drinking enough water can result in a hard stool that is difficult to pass. Suppressing the urge “to go.” Peristalsis is the wave of muscle contraction that sweeps through our intestinal tract and allows us to have a bowel movement. Typically it happens in the morning, after a meal or a hot beverage. Some people are in a hurry and don’t wake up in time to eat and relax; and therefore don’t allow that “wave” to happen in the morning. And then when the “wave” does happen later, they can’t get away to use the restroom so it is suppressed. Chronic stress and not enough time to relax. If the “urge to to” is suppressed on a regular basis it can result in lack of movement in the GI tract and things get backed up. School aged kids often don’t want to “go” at school, and then this can be compounded by after school activities where they don’t get to come home and “relax” to have a bowel movement. Adhesions or scarring after abdominal surgery .Think of C sections, hysterectomies, tummy tucks, hernia repair and other abdominal surgeries. Adhesions or scar tissue as a result of surgery can build up over time and block the intestine. Pelvic floor physical therapy specialists can help with adhesions and other mechanical reasons for chronic constipation. Anesthesia used during any surgery, even if it is not abdominal surgery, can slow the GI tract and result in small intestinal bacterial overgrowth (SIBO) which can in turn result in chronic constipation. Gastro-intestinal tract function after surgery should be managed to prevent constipation. If you have a surgery coming up, make sure you speak to your surgeon in advance to prevent constipation after surgery. Small intestinal bacterial overgrowth (SIBO). Small intestinal bacterial overgrowth (SIBO) or small intestinal fungal overgrowth (SIFO) is a condition where bacteria or yeast is overgrowing in the small intestine. This condition can slow the “migrating motor complex” that stimulates peristalsis in the small intestinal tract, thus slowing down transit time of the whole intestine. In order to correct SIBO, the underlying functional motility issue must be addressed. There are supplements that can act as “pro-kinetics” and help restore functional motility of the gut. Sometimes SIBO can take a few years to get under control so patience, persistence, and a positive attitude (easier said than done), are helpful here. This condition is diagnosed by a physician. Dysbiosis. Dysbiosis in the GI tract (imbalance, overgrowth, or low amount of normally occurring friendly bacteria) can occur from antibiotics, artificial sweetners, lack of fiber from plant foods, and just too much sugar and junk food. Nutritionists help you rebalance the gut bacteria with healthy diet, probiotics and certain herbs. Intestinal Inflammation. Intestinal inflammation can be caused by a variety of reasons such as bacterial or yeast overgrowth, too little beneficial bacteria, celiac’s disease, NSAID (ibuprofen) or aspirin use, crohn’s disease or ulcerative colitis. Intestinal inflammation may be a culprit in chronic constipation. Inflammation can be seen by gastroenterologists through certain diagnostic tests. Lack of moisture in the intestinal tract. The person may constitutionally have dry mucous membranes all over, such as eyes, mouth, GI tract or sinuses. For these folks, not only water, but also essential fats can help with dryness all over the body. Flax seed oil, olive oil, fish oil, avocado and sources of gamma linoleic acid (GLA) oil such as evening primrose oil or black current seed oil are examples essential fats. Pelvic floor dysfunction.The causes of pelvic floor dysfunction are many. When these muscles spasm or function with poor coordination, it can certainly lead to colon and bladder irregularities as well as back pain. Physical therapists that specialize in the pelvic floor muscles can help you correct the underlying dysfunction. Neurogenic bowel. (lack of nervous system control). This can occur from diabetes, multiple sclerosis, spinal injury, etc. This is a serious situation and can require many interventions to manage. This is diagnosed by a physician. Anatomical Reasons:. Enterocele, sigmoidocele, rectocele, and rectal prolapse. These conditions are diagnosed by a physician. Colonic stricture or narrowing. This can occur from inflammatory bowel disease, diverticulitis, radiation, etc. This is diagnosed by a physician. I suggest starting with your physician and a nutritionist. All of these scenarios should be discussed with your physician so you can start investigating the cause and start finding a solution. I recommend putting together a team of professionals that can include a gastroenterologist, a functional medicine dietitian/nutritionist, homeopath, physical therapist and even an acupuncturist. Most people have multiple issues going on and that is why their condition is so serious. For instance, abdominal surgery, pelvic floor dysfunction, sluggish thyroid, SIBO, food sensitivities, and insufficient acetylcholine production can all occur together, feeding into one another. The number one way to improve the healthy bacteria in your gut is by eating plants: Fruits, vegetables, nuts, and possibly beans and whole grains. Cut down on white carbohydrate foods (sugar, flour, pasta, tortillas, bread, chips, baked goods). Don’t overdo fat or protein. You can shift the bacterial balance toward a more friendly population in 24 hours. Fermented foods such as kim cheese, sauerkraut, yogurt and kefir may or may not be helpful. These may make gas and bloating worse, or conversely make everything better. Working with a nutritionist to sort this out will be beneficial. To improve the balance of healthy bacteria in your gut, eat lots of plants. There are a number supplements that your functional medicine nutritionist can recommend that augment diet and lifestyle changes to help address slow GI motility, low serotonin, low acetylcholine, inflammation of the GI tract, low mucin production, excessive mast cell production, food allergies, gut healing, and probiotic bacteria and the right type of fiber for your circumstance. Do it yourself supplement programs may not always be a wise idea. It is best if supplements are discussed with an expert in the use of supplements for gastrointestinal dysfunction. Set up a routine with daily exercise, plenty of fluid, stress reduction and a sleep/ wake cycle that allows plenty of time in the morning to have a bowel movement. Work with a nutrition professional to identify foods that may be worsening constipation, foods that may help constipation, and supplements that may help constipation. Seek out sources of fiber that are low in FODMAPS. Have your functional medicine nutritionist or doctor help you with integrative lab work, such as stool cultures, to identify dysbiosis that may be causing inflammation in the intestinal tract. Work with your doctor to identify medications such as antihistamines or NSAIDs; or medical conditions such as hypothyroidism or hyperparathyroidism that may be worsening constipation. Visit with a physical therapist who specializes in pelvic floor therapy. ·Work with a homeopath. Homeopathic remedies that look at your whole constitution can be very helpful in correcting chronic constipation. You can just eat straight prunes or turn it into a dessert with some hemp or chia seeds sprinkled on top. Process ½ cup of prunes and ½ cup of water, in a food processor. This makes 2 servings. Prunes are high FODMAP but have a laxative effect that can be helpful. I suggest eating this at night so you can “go” in the morning. 1 - 1 1/2 cups frozen or fresh fruit that can be helpful with digestion including berries, pineapple, kiwi, papaya. Options to add creaminess: avocado or nut butter. Vegetable Option: ½ cup spinach or kale. *Beware that protein powders and collagen may sit like a lump and make constipation worse. Aloe vera juice is often recommended to be added to smoothies for constipation but it may ferment, irritate, and bloat. Water with slices of lemon, lime, cucumber, strawberries. The better it tastes the more likely you are to drink it. Fruit: Berries, kiwis, pineapple, grapes, melon (not watermelon), citrus fruit. Non Starchy Veggies: Aim for about 2 cups of non-starchy vegetables a day. Choose from broccoli florets, bok choy, kale, arugula, celeriac, carrots, green cabbage, red bell peppers, eggplant, zucchini. A simple trick to get a variety of vegetables is to saute 7-10 different types of veggies and eat those throughout the week. Avoid cauliflower, celery, onion, garlic, shallots, mushrooms, asparagus, snow peas if you have IBS symptoms. Parsnips: Roast or boil and mash parsnips with olive oil and broth with little sprinkle of nutmeg are delicious. You can eat about ½ cup per day. Mash them as you would make mashed potatoes (but use low lactose milk). Winter Squash: Roasted acorn, delicata, kabocha, and spaghetti squash are excellent sources of fiber and can replace pasta, rice and other low fiber grains. (Butternut squash and sweet potatoes are high in FODMAPS and may be irritating). Gluten Free Grains: Quinoa, oats, millet, teff, brown rice are three examples of high fiber grain replacements (quinoa is a seed). These can work wonders for people with constipation or conversely, can cause inflammation and intestinal distress. Try small portions of these and see how you do. Lentils and Beans: If tolerated, lentils and beans can be helpful with constipation. Beans contain fermentable carbohydrates as well as a protein called lectin that might irritate the GI tract lining, so they really may cause distress in certain people. Beans are often NOT well tolerated with IBS. If you are eating beans it may be best to choose canned beans that have been cooked in a pressure cooker to destroy lectins, or soak them overnight and cook them in a pressure cooker yourself. Nuts: Keep nuts to about ¼-1/3 cup per day or about 2 -4 Tablespoons of nut butter. Some good choices include macademia nuts, walnuts, sunflower seeds, pumpkin seeds. Chia seeds and flax seeds are used in much smaller amounts, start at ¼ teaspoon and slowly increase to 1-2 Tablespoons if tolerated. Be careful with pistachios, cashews as these are high in FODMAPS and can worsen intestinal distress in people with a FODMAP intolerance. Too many nuts in general can worsen IBS. Make Healthier Baked Goods: You can add pureed prunes (baby food prunes), psyllium and ground flax seed, chia seeds in baked goods to help with constipation. Fiber Supplements: Psyllium, ground flax seed and chia seed are Low FODMAP sources of fiber that are NOT prone to fermentation by bacteria in the small intestine and may be tolerated easier by people. You must start with a very low dose such as 1/8-1/4 teaspoon in water and very, very slowly build up. Don’t increase the amount of these fibers by more than ½-1 teaspoon per week. Some people cannot tolerate very much of these at all. It may take up to 4 weeks for these to consistently help with constipation. You may hit a threshold where you are taking too much fiber and it will cause constipation and slow transit time. Some people cannot tolerate over a ½ teaspoon/day of any of these. I typically start people on straight psyllium powder rather than flax or chia seed. Do not give these to small children, instead, work with your pediatrician and a pediatric nutritionist for simple solutions. Children can respond quickly to very simple interventions. Chronic constipation can be a lifelong health condition that has to be managed. Learning effective strategies to manage this condition may greatly improve your quality of life. Chronic use of laxatives is NOT a safe option, so if you are using laxatives regularly it is time to seek professional help. Car trips are a great way to bond with your loved ones and create lasting memories. However, they can be challenging if you have dietary restrictions. You can spare a lot of frustration and greatly increase your happiness factor by being prepared! Spring is here and it is the beginning of car trip season!! Car trips are a great way to see the sights, bond with your loved ones, and create lasting memories. For people who value eating healthy, or have dietary restrictions, car trips can be challenging as you pass through long stretches of greasy diners and convenience stores. You can spare a lot of frustration and greatly increase your happiness factor by being prepared. Both kids and adults will enjoy these food suggestions. GF trail mix (make your own with GF nuts/seeds, GF dried fruit, GF chocolate chips, GF pretzels or cereal). For long hikes or bikes: Healthier sports drink powders (like Skratch) that can be dumped in water bottles. Wax food storage bags (or ziplock bags) for food storage and sandwiches, etc. Small travel bottle of dish soap, sponge and dish towel to wash containers and water bottles in hotels or campsites. Flaxseed is a nutritional power house for both women and men and has some special properties that set it apart from other nuts and seeds. Flaxseed can help to manage hormone related health conditions in women AND men as well as lower the risk of heart disease. Flaxseed oil can help heal irritated skin and the lining of the GI tract. § Is an excellent source of mucilage, a “gum” type of fiber that can provide special nourishing support to the gastrointestinal tract. § Is helpful with hormone balance and decreased risk of hormone sensitive cancers for women and men. § May help to lower the risk of heart disease. § Flax seed extracts decreased urinary symptoms and the risk of benign prostatic hyperplasia (BPH-also known as prostate gland enlargement). § Decreased the uncontrolled growth of cancerous cells with prostate and breast cancer. § Significantly lowered cholesterol, blood pressure and blood sugar. § Is particularly high in an omega-3 fatty acid called alpha linoleic acid that has anti-inflammatory properties and is especially beneficial for skin conditions, intestinal irritation, and the inner lining of blood vessels. § Contains the highest source of dietary lignans of any food, a type of fiber that is rich in antioxidants and may provide protection against hormone related cancers. Flaxseed consumption in males may help to normalize excessive conversion of testosterone to dihydrotestosterone (DHT) by downregulating an enzyme called 5-alpha reductase (whfoods.org). High DHT in comparison to testosterone is hypothesized to be associated with male pattern baldness (English, R.S., Jr., 2018), acne, and benign prostate hyperplasia (BPH). However, some DHT is necessary for good health. It might be expected that downregulating the 5-alpha reductase enzyme with a food such as flaxseed (a low potency source), as opposed to using powerful medications that block this enzyme altogether (such as the medications used to combat hair loss and BPH), would be far gentler on the body, and therefore, have far fewer negative side effects. More studies are needed to confirm this and flax seed itself has not been studied for hair loss and acne yet. Flaxseed lignans are associated with decreased prostate tumor cell proliferation (uncontrolled cell growth) (Azrad et al., 2013). Both breast and prostate cancer patients had decreased tumor cell proliferation when the patients were fed flax seed for one month prior to surgery to remove the tumor compared to patients who didn’t receive flax seed (Azrad et al., 2013). In women, flaxseed consumption has been shown to reduce breast cancer risk by 33-70%, reduce all cause mortality by 40-53%, reduce breast cancer tumor growth, does not interfere with tamoxifen effectiveness, and is safe to consume with breast cancer (Mason & Thompson, 2014). In rats with experimentally induced BPH, the consumption of a lignan extract of flax was associated with a significantly decreased weight of the prostate gland, thus concluding that flax seed might be a viable option for lowering the risk of developing BPH (Bisson, Hidalgo, Simons, & Verbruggen, 2014). In another study on subjects with BPH, the effects of using a flaxseed lignan extract on alleviating urinary tract symptoms, was shown to improve the urinary symptoms of BPH and improve quality of life similar to that of commonly used medication interventions. (Zhang et al., 2008). Ground flaxseed consumption at two tablespoons a day along with a low fat diet for six months, resulted in significantly decreased circulating prostate specific antigen (PSA) levels in men scheduled to undergo repeat prostate biopsies. (Demark-Wahnefried et al., 2004). Do you feel you need help with nutritional intervention for hormone balance? I offer a free 15 minute phone consult to discuss how I can help you with this. In terms of heart disease risk, flax seed consumption (2 tablespoons/day) has been shown to decrease plasma total and LDL cholesterol level, even beyond that of cholesterol lowering medications in those with documented cardiovascular disease (Edel et al., 2015). Ground flax seed (2 tablespoons/day) may be one of the most potent blood pressure lowering foods in those with cardiovascular disease markers (Rodriguez-Leyva et al., 2013). Two tablespoons a day of ground flax seed was shown to lower systolic blood pressure (the top number) 10-15 mm Hg and diastolic blood pressure (the bottom number) around 7 mm Hg. (Rodriguez-Leyva et al., 2013). Flax seed is considered to be a very beneficial addition to the diet in those with peripheral arterial disease for controlling all of the above risk factors, and does not appear to interfere with blood thinning medications. Lastly, ground flaxseed has been shown to lower blood sugar, most likely due to it’s fiber content. It’s not just the fiber and lignans in flaxseed that are healthy, the oil can be helpful to the GI tract and skin as well. One property of flaxseed oil is that is soothing to the GI tract and it was found to heal intestinal ulcers in rats about as well as the medication zantac (Dugani, Auzzi, Naas, & Megwez, 2008). In fact, for those with inflammation in the intestinal tract, flax seed oil may have a healing benefit and be easier to tolerate than ground or whole flax seeds. Flax seed oil is also helpful in decreasing skin irritation and sensitivity. (Neukam et al., 2011). If you are using the oil, buy it in small containers as it can go rancid quickly, and do not cook with it or you will ruin the beneficial properties of the oil. Not sure how to use flaxseed in your diet? First of all, it needs to be ground to make all the beneficial properties are available to absorb. Also, if you are gluten free make sure you buy flaxseed that is labeled as such. Bob’s Red Mill is one company that makes gluten free flaxseed. Keep it in the freezer so it doesn’t go rancid and if you prefer to grind it in advance then keep it in a dark storage container that blocks the light because light can encourage rancidity or “spoiling” of the beneficial fatty acids. The beneficial properties of flaxseed remain intact with cooking (compared to using the oil). To make your bake goods healthier and give them a lower glycemic index, start adding ground flaxseed to pancakes, waffles, muffins, or bread. You can also blend it into smoothies, stir it into oatmeal or yogurt or put it on top of a whole grain cereal. The website World’s Healthiest Foods (whfoods.com) has more information about how to use flaxseed. This is one of my favorite websites about the health properties of foods so please check it out. Flax can pack a punch with fiber and has a mild laxative effect so it is great for those with bowel elimination concerns. You need to work up slowly with flaxseed. Start with 1-2 teaspoons a day and then work up to about two tablespoons per day. Beware of too much flaxseed in young children. While an excellent source of fiber it may be irritating to the gastrointestinal tract and dull their appetite, or cause upset stomach and diarrhea. Incorporating ground flaxseed in baked goods is likely enough for children without going overboard and adding it to smoothies, etc. Likewise for adults with inflammation in the intestinal tract, flaxseeds might be irritating, so start with a small amount (around 1 teaspoon) and slowly work up, knowing that you might not be able to tolerate two tablespoons. Ground flaxseed has hormone balancing effects, cancer protective effects, and cardiovascular protective effects for both men and women. Flaxseed oil can help with skin and gastrointestinal irritation. Try to incorporate flaxseed on a regular basis in baked goods, smoothies and cereal. Be careful not to over consume flaxseed, especially in children. Overdoing any seeds and nuts can be irritating to people with certain bowel conditions so use common sense when consuming any nuts and seeds, including flaxseed. Please see the recipes on my website for morning glory muffins and homemade gluten free bread (coming soon). Today’s blog is about iron overload. This topic is especially relevant after a news report on the Iowa Women’s Health Study, which showed that multivitamins increased the risk of death. The Study revealed that it was likely the amount of copper and iron that increased the risk of death. Iron was found to be especially toxic in a dose dependent manner. In other words, the more iron that was supplemented, the higher the risk of death. The average age of women in this study was 60 years. These women were post-menopausal and should not have been taking iron. Heavy metal toxicity has long been recognized for mercury, lead and arsenic, but iron toxicity was thought to only occur in those with a genetic condition called hemochromatosis. New research is suggesting that iron overload is actually very common in the average person. High iron levels accelerate degeneration of the body. Excessive iron has been linked to diabetes, liver and colon cancer, neurodegenerative disorders including Alzheimer’s and Parkinson’s disease, heart attack, kidney damage and joint damage. Free, unbound iron causes “rusting” or oxidation of the tissues. High iron levels also feed bacteria which can result in frequent or more severe infections. Researchers at UCLA found that in healthy older adults, those with the highest accumulations of iron in the brain had the poorest performance on memory and information processing. The body’s defense against high iron is to trap it in cages called “ferritin”. We see ferritin levels rise as iron is accumulating in the body’s tissues. In states of chronic inflammation and infection, we also see the ferritin levels rise as a protective mechanism. Ferritin levels are not routinely measured, but in light of new research on iron accumulation, you should start requesting this test routinely from your doctor. Women have been thought to be protected from a lifetime of excessive iron build up since menstruation helps to decrease iron levels. But researchers have found that women who have undergone hysterectomies had higher iron levels in the brain than women who went through menopause naturally. The levels of iron build up in the brain in women with hysterectomies matched the levels found in men. The newer generation of birth control pills that only allow four menstrual periods per year may pose a risk for iron build up in young women starting at a younger age. Have an iron assessment by a clinical nutritionist or registered dietitian trained in functional medicine. We use tighter reference ranges than doctors. For instance, we like ferritin levels to be around 100 ng/mL. Current medical reference ranges consider ferritin levels as high as 400 ng/mL to be normal. Do not cook in cast iron if you have high iron levels. However, cast iron is great for low iron levels. For men, post-menopausal women or women who only have several periods a year, make sure your multivitamin does not contain iron (unless you are anemic). Alternate different forms of protein. Eat less red meat and more fish, poultry, and vegetarian sources of protein. Limit alcohol as it increases the absorption of iron. Red wine is a good source of iron. In fact, it is the largest source of iron in the Italian diet. Steak dinners with red wine should be saved for special occasions. Drink green tea after meals—it decreases the absorption of iron by 70%. Talk to your doctor about giving blood regularly if your iron levels run on the high normal side. This not only helps people in need but will keep you healthier over the long run. If your iron stores are on the high normal side, there are numerous foods and supplements that clinical nutritionists can use to help you naturally “chelate” iron out of the body. There are also changes in diet that can be made to ensure that iron stays in the“bound” form instead of “free” form, helping to prevent oxidative damage or “rusting” of the body.